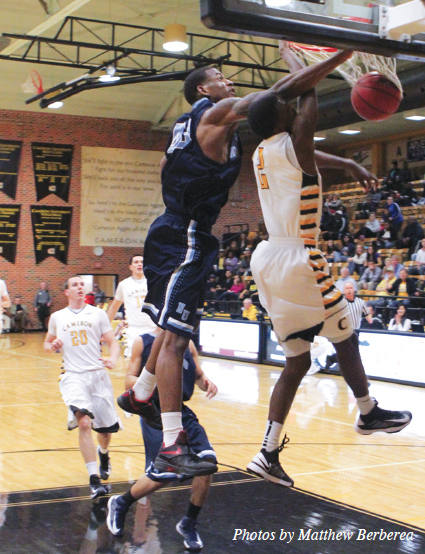 Cameron University Men’s Basketball faced off against the Northwood University Knights Feb. 24 at Aggie Gymnasium for the final home game of the season and Senior Night. Cameron came into the game with five straight wins and 11 straight at Aggie Gym. 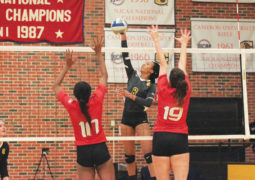 Northwood was the underdog coming into the game with a record of 4-21, but looked to spoil the perfect home season for CU. The game opened with both teams exchanging points with neither able to pull ahead by more than one possession. They hit the 8:40 mark tied for the fifth time at 19-19, but Northwood quickly hit the gas and went on a 10-0 run over the next two minutes. Trailing 19-29 with 5:45 left in the half, senior guard Devon Crabtree started to find his rhythm from outside. After starting the game 2-4 from behind the arc, Crabtree drained five of his next six to lead the Aggies back in front heading into the locker room 44-41. The second half started where the first left off as two quick threes from Crabtree and two layups from senior forward Rudy Harrell increased Cameron’s lead to 54-41 with 18:41 left in the game. Once again the Knights refused to go down easy and fought back over the next few minutes with a 13-4 run of their own bringing the Aggie lead to 59-54. Crabtree was then called on to slow down the Knights and he drained his 10th 3-pointer of the night, tying a Cameron University single game record. That bucket sparked the crowd, which erupted minutes later when junior guard Tim Johnson finished a fast break with a monster one-handed dunk over Northwood big man Everett Plesant and the foul. The Aggies used the crowd and momentum to continue to build their lead with an alley-oop dunk from point guard Craig Foster to junior Andrew “Grenada” Thomas. Two possessions later Thomas once again found himself on the receiving end of an alley-oop from Foster. The Knights did their best to fight back but were unable to pull within eight points Cameron as the Aggies played solid defense and hit their free throws to seal the victory, 86-75. Head Coach Wade Alexander said that winning at home is always the goal but going undefeated at home is a daunting task. 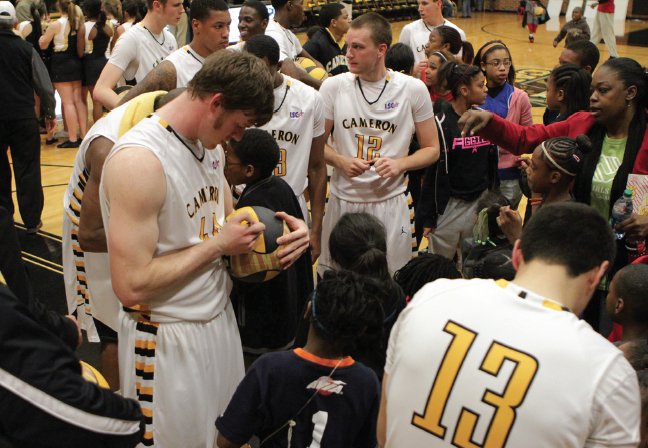 The win gives Cameron a regular season record of 18-7 and 13-5 in conference. The Aggies finished the season second place in the conference and fifth in the NCAA Division 2 South Central regional rankings. Crabtree led the Aggies in scoring with 30 points to go along with three rebounds and four assists. Senior forward Andrew “Country” Thomas finished his final home game with 14 points and seven rebounds while junior guard Craig Foster finished with a double-double, 11 points and 11 rebounds. After missing most of the season recovering from an offseason injury, Crabtree showed why he is a valuable asset for the Aggies. Coach Alexander talked about what Crabtree can do for the Aggies but said he may not find too much free space after a record performance. 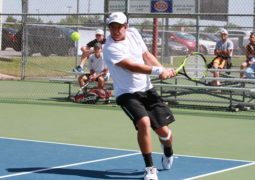 The Aggies look toward the Lonestar Conference Tournament where they enter as the #2 seed. Coach Alexander explained the Aggies have some areas they need to focus on entering the tournament and the team needs to play a complete game to compete. The Aggies will play March 6 against the #7 seed, which was yet to be determined at press time. Information on the conference tournament can be found at www. lscchampionshipallen.com and all Cameron athletics information can be found at www.cameronaggies.com.